A week ago I made a huge change in my life. I resigned from my job. It was one of the hardest decisions I've ever had to make, but I knew I just had to do it. There is a huge, and I can't stress this enough, huge difference between resigning with malice and with grace. I went with the grace route and it worked out really well for me. I'll be really honest with you, it was extremely nerve-wracking, sad, and difficult! I wanted to share my tips for how to resign with grace, because I truly think that is the best way to do it. Every job isn't for everyone. Finance wasn't something I ever thought I'd get in to, but when the opportunity arose, I gave it a shot. I am a very creative person, so the world of finance didn't meet all my career needs. I learned so much and I am truly thankful for that. I personally feel there is no need to burn bridges at a job, because you never know when you are going to cross paths again. And quitting on a bad note, not so good. The biggest tip I can give you is be gracious, even if you are unhappy with the position. 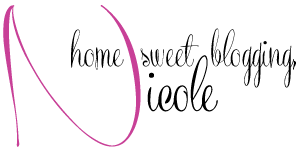 Remember, future employers may call the company as a reference and get the scoop on you! You don't want your fiery exit to be what blackballs you from your dream job! Stick to the fact and try to leave emotion out. This was the hardest task for me to accomplish, but I think I did ok. The moment is very high on the emotional scale, so it's very easy to get caught up in the emotions of the moment. I'm not perfect by any means and I did shed a few tears. I love the people at my job and I will miss them dearly, but I needed to do this for myself. When I spoke with my bosses, I kept it short. There's no need to throw anyone under the bus, complain, or dwell. Just tell the boss what they need to know and end the convo. Don't forget, shake hands when your finished. End on a professional note! Have a letter of resignation typed and signed. The letter serves as the official resignation to your boss and to HR. When I was researching resignation letters, I saw so many rude ones! What's the point of being rude? I just don't think that's necessary. I made sure to continue the theme of grace in my letter of resignation. I've included the template below so if need be, you can use it. In the letter, make sure to keep the tone professional, but also firm. Before you walk into that office, you must be absolutely sure that this is the right decision. The letter has to reflect your feelings that this is what you want to do and you will be leaving. Also, make sure to add the date of your last day. It's customary to give two weeks notice. Don't be surprised if they decide to let you go on the spot. Each company is different and they handle the last days differently. If you do stay for two weeks, make sure to be kind everyday. Don't slack off and try to run your work into the ground. That is wildly unprofessional and will not leave a good taste when you're gone! I hope this helps you tackle the extremely difficult experience of resigning. Just remember, this job may not have been for you, but that is no reason to burn down every bridge you've ever made at the company. Instead, keep the relationships and resign with grace. I resigned gracefully and it made the experience 100 times easier. My bosses still have respect for me and I respect everyone at this company. I will treasure the memories and the knowledge I gained from this position! Any other tips you would give for how to resign gracefully? Here is the template for a graceful Letter of Resignation. Feel free to use it for your own personal use. I am writing to inform you that I will be resigning from my position as a (Position Title) My last day of work will be (Date of Your Last Day). I would like to thank you for having me as part of your team. I am proud to have worked for (Company Name), and I truly appreciate the time and patience everyone has shown in training me. I have learned a lot about (Put Something You Learned Here) and these skills will serve me well in my future career. Please acknowledge this letter as my official notice of resignation. I will do my best to ensure a smooth transition. I am fortunate to have been a part of the (Department/Company Name) and I wish you continued success. This is such an important post! Definitely hanging on to these tips for when I enter the work force... you never know when you may need to resign and it's important to be gracious! Great post and so true. Things to keep in mind for the future. Such a great idea for a post and great thing to keep in mind! This is such a great post that I feel like everyone could use. It is so important to make sure not to burn a bridge especially with an employer. Who knows you might end up going back and if you leave on a good note you could probably end up doing so. This is such a lovely and thoughtful post. Thank you for sharing your personal experiences with us. I actually just quit my job only after a few days of work because my schedule was way too stressful, but I did pretty much the same thing as you! Being graceful about your exit is so important! I'm excited to find out what's next!!! These are great tips and I think you handled it beautifully!! I actually just resigned from my job in finance realizing I was to creative for a corporate 9 to 5! You go girl! Ugh... Isn't that the worst. When you want to be doing what you love, but it just isn't paying the bills. Such a hard thing to come to terms with but thanks for sharing. It's so hard to follow something your passionate about, but it won't make ends meet. Great job making a change! 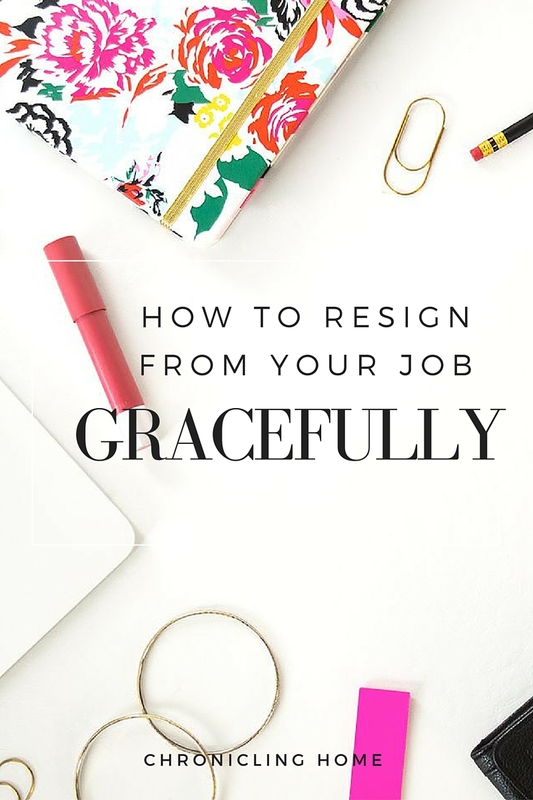 Great tips for resigning with grace, I know leaving a position always feels so scary and emotional. I hope your next endeavor will allow you to have a little more creativity in your job! I am so excited for you!! When I quit my previous job, I was SO emotional. I started crying immediately after I told my boss that I was leaving, but only because I was so passionate about my job. I admire my former boss, so it felt great to know that I was leaving with her blessing. So glad you did whats best for you in the right way. These are all great tips to go by. This type of post is so important, because it's so hard to go through these types of situations. I really wish I'd had this type of knowledge when I quit my high school job. It was an awful experience and my bosses were awful to deal with. It took a lot of effort on my part to be gracious, but I'm not sure I completely succeeded. Thankfully I love my two current jobs, especially since they're part of the career field I'd love to work in after getting my degree. Thank you for including your template at the end of this - I feel like it's so needed and such a tricky subject to talk about! It amazes me how many people leave their jobs bashing the company they previously worked for, like you said you never know what's going to stop you from getting your dream job! You are amazing person ! !